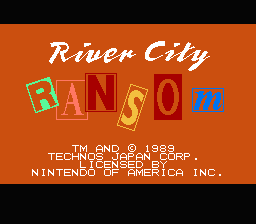 River City Ransom is a beloved two-player RPG/brawler hybrid from Technos. In Japan, it's part of the prolific Kunio series. 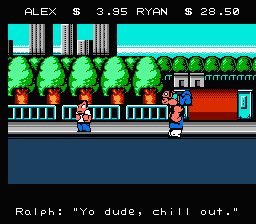 You walk around an open city, fighting rival gangs to collect money so you can buy new moves and eat food that increases your stats. Every enemy has a unique name, face, and even dialogue. 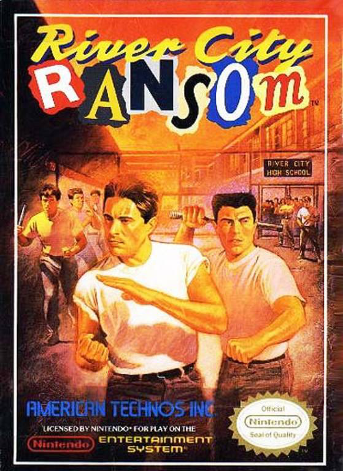 The soundtrack channels Renegade with its super-catchy rockabilly riffs. I hold your city captive & Ryan's girlfriend hostage. With my gangs of students & evil bosses, nobody can stop me now. Meet my demands - or else!... P.S. 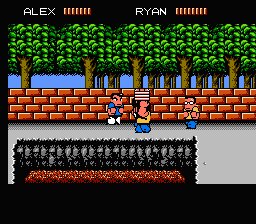 Alex & Ryan if you interfere, you'll be in for the fight of your lives! 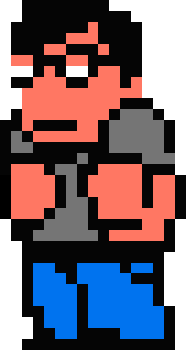 The penultimate boss fight is a reference to another popular Technos brawler, complete with theme song. 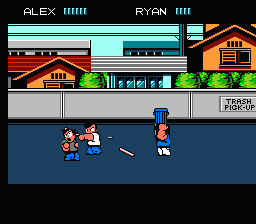 In Japan, this game is part of the Kunio series, which includes Renegade and Crash n' the Boys among other games. 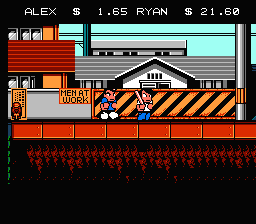 River City Ransom is great for what it is. Its open world and RPG innovations were way ahead of its time, and it's great for playing with an inexperienced friend. The unique enemy faces and personalities are cool but the enemy variety is very lackluster as a result. The combat would be great if it didn't have blocking, which slows everything down.